The price of cooking gas has risen by about 30 per cent in Lagos and other parts of the country, according to the News Agency of Nigeria (NAN). A 12.5kg cylinder, which previously sold for N3,500, now goes for N4,500 in most parts of the metropolis. Some domestic gas users told NAN that they were irked by the sudden price increase, which they said, was arbitrary and thoughtless. Mrs. Rebecca Aleshinloye, a resident in Surulere, complained that gas sellers every year exploit users by increasing price of the product during festive periods. “I filled my cylinder with gas at N3,500 in December, but surprisingly, I was told the price has been changed to N4,500. “In annoyance, I went to a gas plant inside a filling station thinking that it would be cheaper, but was told it is N5,000. 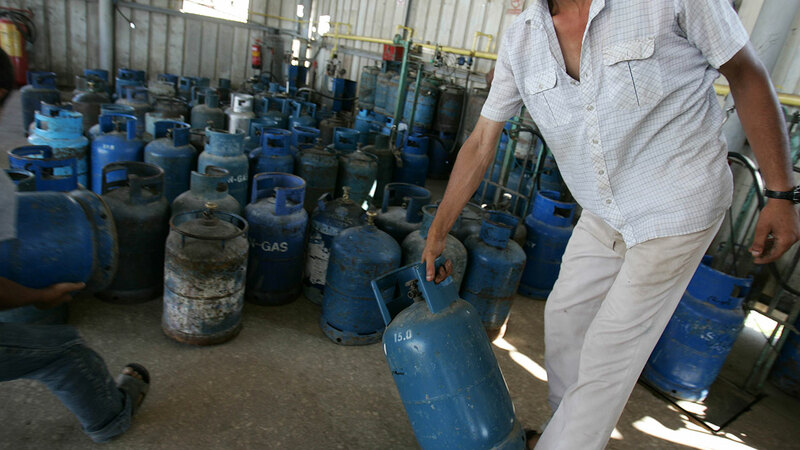 “I had no choice but to go back to the first gas plant to fill my cylinder. This practice of gas sellers is highly unfair to users considering the economic situation in the country,” she said. Also, Mrs. Jennifer Eluko, a resident of Abule-Egba, said that cooking gas price rose on December 24 at most of the sale points in the area. Mr. Ben Nwabueze, a retailer at Ikorodu, said that the price increase was a local problem, which would phase out as more plants restock the product. “We try to ration it because we cannot restock till after the break when loading starts at the depot. More so, it will still take some days before the product circulates, thereby forcing reduction in the price.” he said.